The rise of technology and automation has already led to significant changes for a multitude of industries, including accounting. Back in 2016, EY warned that graduate recruitment in the sector could fall by as much as 50% by 2020 due to the impact of artificial intelligence, yet AAT’s own Future Accountant research from this summer has suggested that people will remain the most important factor for years to come – with accountants increasingly shifting into an advisory role. 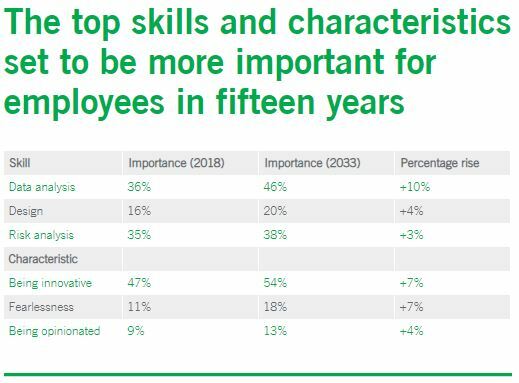 But what skills do employees across all industries need in the future to remain credible to companies and ensure they are working hand in hand with technological solutions, not seeing it as the competition? Working with leading public opinion company YouGov, AAT spoke with 1,000 senior decision makers to determine the skills and characteristics that were most required in the workplaces of Britain today, before asking them to cast their minds fifteen years into the future and establish – through their crystal balls – what the ideal employee attributes will be then. And on the surface of it, it’s great news for accountants. 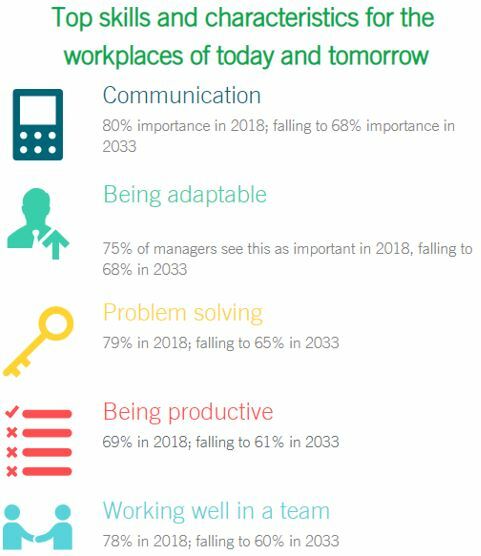 Analytical skills such as data and risk analysis, along with the ability to be a strategic thinker, all rose in importance for managers thinking of the workplace of 2033 compared to today. And fearlessness is set to dramatically rise in importance as a characteristic, with workers needing to take more control of their decisions through greater levels of innovation and opinion, according to our survey respondents. The rise of artificial intelligence and flexible working may ultimately lead to less employees actually being needed in the office. 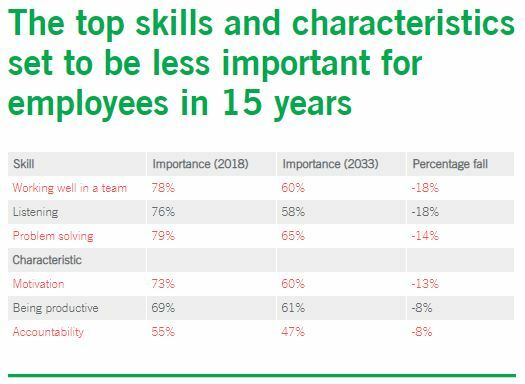 It’s for those reasons (we think) why working well in a team and listening were among those skills set to fall in importance between now and 2033; while motivation and accountability were included within the characteristics that will be moved away from in tomorrow’s business world. Senior decision makers we spoke to told us that the top skills and characteristics to have now and in the future include the ability to communicate, problem-solving, being adaptable and being proactive. All, however, fall in importance for the worker of tomorrow, despite remaining high on the list. The rise of the machine and its knock-on impact helping employees to work flexibly or rarely visit an office could make team-playing a less recognised skill on a future CV, but team interaction in reality is likely to continue to lead towards successful business. However, with the number of new small businesses at an all-time high, there are more people working by themselves in the hope of growing their own firm. They may or may not need team playing skills, but they will certainly need an accountant if they don’t themselves have the finance or analytical experience to balance the books themselves. 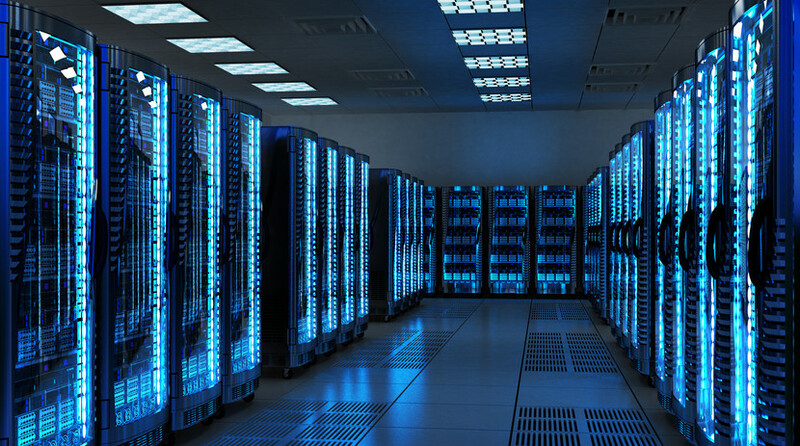 For accountants and bookkeepers, it’s been easy to recognise that change has already been on the way, and they understand the importance of analysing real-time data and thinking more strategically in the future. 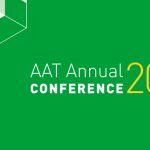 It’s an exciting time for the profession, and as such AAT has produced a short white paper looking at the role of the future accountant and the impact of technology on the profession. You can access this now via the AAT website. Read more in AAT’s The Future Accountant – White Paper. Adam Harwood is AAT's Media Relations Manager. What does the future look like for bookkeepers?